Time to get sun-kissed this summer! Check out this week’s promos! 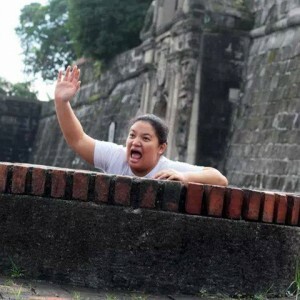 Take a break, have a vacation for as low as PHP1,299! Check out the promo here! 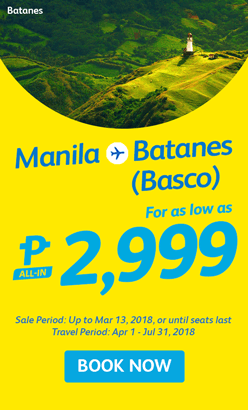 The opportunity to go to Batanes for as low as PHP2,999 is here! Check out the promo here! Surf’s up for as low as PHP2,999! 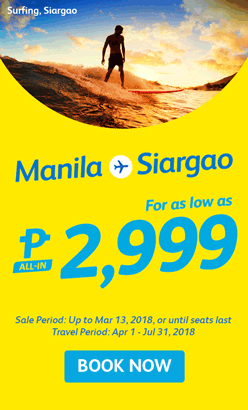 Check out Cebu Pacific’s Siargao promo here! Are you ready to fly to Melbourne, mate? 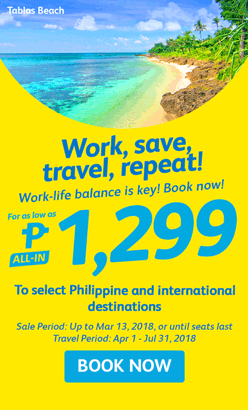 Check out Cebu Pacific’s promo here! Get sun-kissed this summer for less! 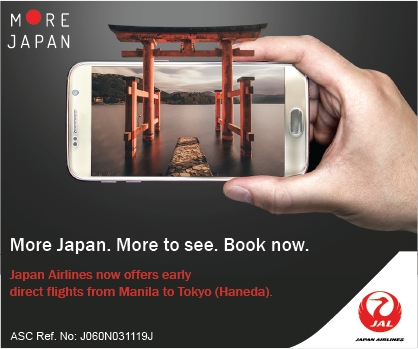 Check out AirAsia’s promos here! 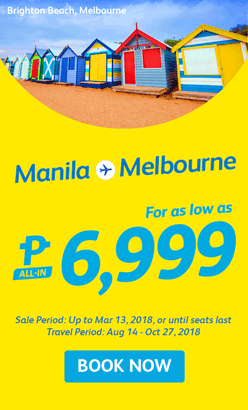 PAL’s awesome 77th Anniversary Seat Sale is still here! Check out the promo here! Got leads to more great deals? Tell us about them in the comments!